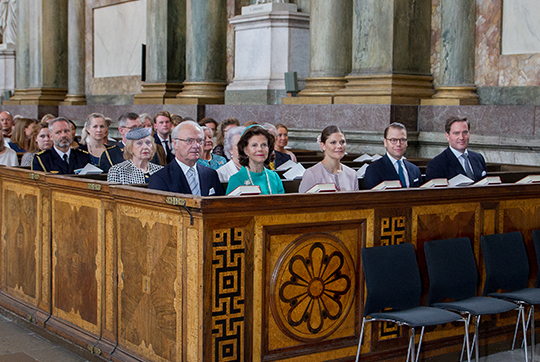 Yesterday the royal family attended a Te Deum service celebrating the birth of Prince Nicolas Paul Gustaf! 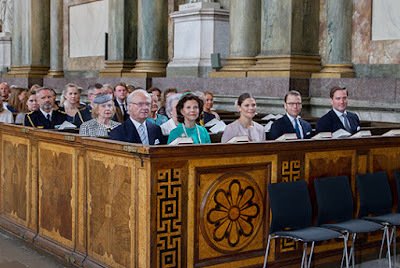 Sofia and Carl Philip have gone on their honeymoon so they were not in attendance but the King, Queen, Victoria, Daniel and Chris were there! 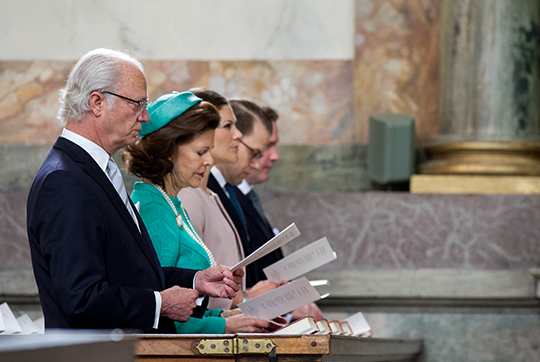 The day before the King announced the littlest Prince's name with Victoria on his right. For the announcement Victoria wore her blue Escada dress. And for the Te Deum service she wore a new dress with an old pink coat. new dress with an old pink coat?